The on-going nature of SEO requires not just one payment but regular or even monthly payments to maximize your website’s potential. One way around this is to do your website SEO yourself. 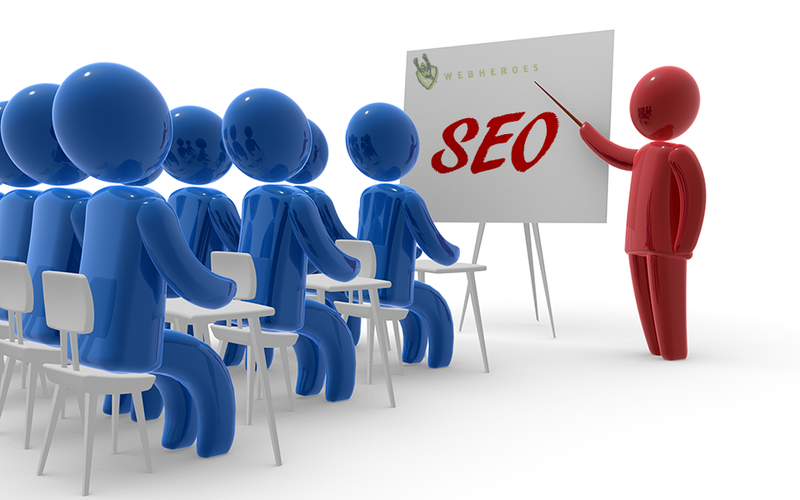 While not for the the faint at heart if you are willing to put in sweat equity in lieu of cash, with the right SEO training you could improve your website’s organic reach. This training guide is a collection of tools and tutorials to help you understand the basic of search engine optimisation and how you can leverage it to increase your website’s organic traffic. This is not meant to be a replacement for hiring a professional , instead its more of a stop gap until you can spare the resources to do so. SEO or search engine optimization is a set of continually evolving best practices aimed at increasing a websites rankings in organic search results. It includes the code and structure of the website, load speed, content how that content is structured, the popularity of the content (back-links), mentions on popular social media platforms like Twitter & Facebook and recently whether your site is mobile friendly. There are many search engines but the big daddy of them all is Google. With this in mind it makes sense to optimize for Google first. Many of the tried and proven SEO techniques will work for other search engines as well but you can always check out the specific requirements of the search engine you are targeting. Google SEO Guide – Start here this handy PDF (copy to your phone read if you are stuck in a line or some other time wasting situation) you get a rundown of Googles best practices. Their basic tenet – create great content for people – and everything else will fall into place. Sound advice but when your competitors are also creating great content you really need a little more to get to the top of the pile. https://moz.com/beginners-guide-to-seo – This is a comprehensive in depth guide to SEO training. It covers everything from how search engines operate to the necessity of SEO, myths about search engines to tools for measuring your hard fought results. https://www.google.com/webmasters/tools/ – Create an account and link your website. This tools will allow you to monitor critical information about your website content and performance. https://www.google.com/analytics/ – Is a free website traffic tracking tool. Linked to Google Webmaster Tools gives you a three sixty view of your websites performance, your visitors and their actions. This is an essential tool to measure what content on your website is bringing in traffic and what keywords are being used to do so. https://adwords.google.com/KeywordPlanner – Self described as ‘A tool that provides keyword ideas and traffic estimates to help you build a Search Network campaign’. https://moz.com/researchtools/ose/ – Is a free tool that provides a link profile for a given domain. What makes this tool useful is that it can provide you with link profiles for your competitors as well. http://tools.seobook.com/ – An extensive list of free and paid SEO tools and tutorials. http://www.web-site-map.com/ – Create an XML sitemap for your website. This will create a list of all your website’s pages as well as id broken links. http://www.semrush.com/ Provides competitive data analysis for a given website. You can use this tool to explore the linking and keyword profile of your business as well as those belonging to your competitors.